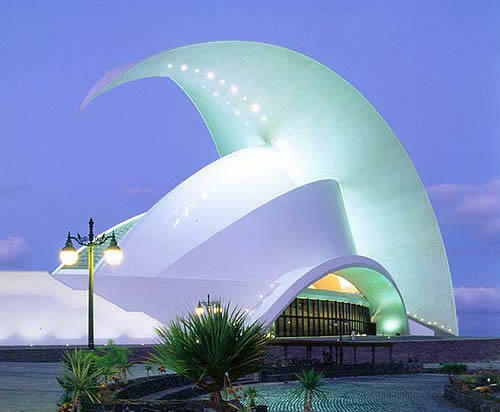 The majestic profile of the auditorium has become an architectural symbol of the city of Santa Cruz de Tenerife, the island of Tenerife and the Canary Islands. 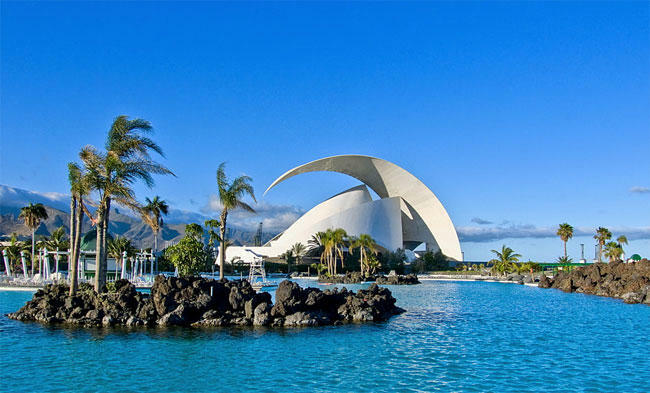 It is also regarded as the finest modern building in the Canary Islands and one of the most emblematic buildings of Spanish architecture. In March 2008, it was included by the post office in a set of six stamps depicting the most emblematic works of Spanish architecture. 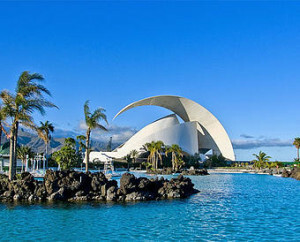 In 2011, the image of the Tenerife Auditorium was included in a series of commemorative coins of 5 euros, which displayed the most emblematic symbols of several Spanish cities. 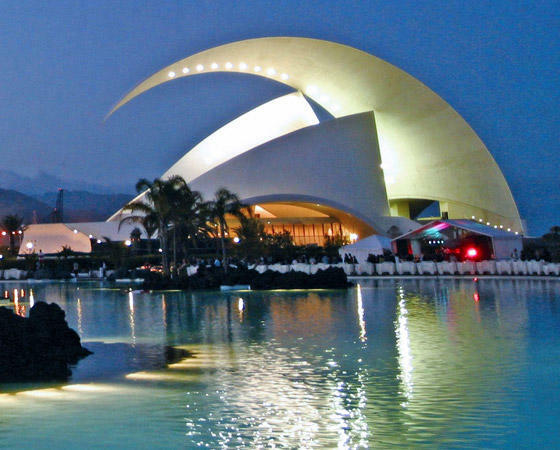 It is one of the major attractions of Tenerife and home to the Tenerife Symphony Orchestra considered to be among the most prestigious in Europe. The Tenerife Auditorium, designed by the architect Santiago Calatrava, falls within the tenets of late modernist architecture of the end of the century. 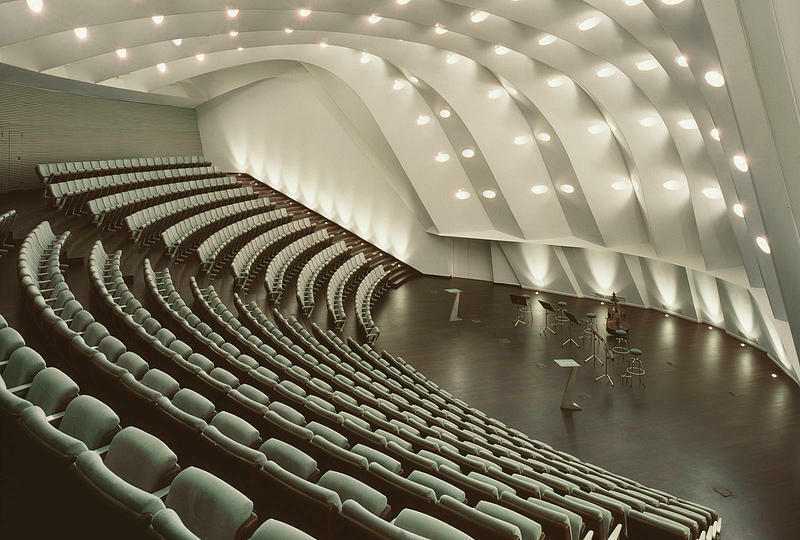 The building, described architectural engineering, “has no facade” and it produces “multiple suggestions”. To some, it has the form of a wave, for others, moon, or hull or a huge tongue. 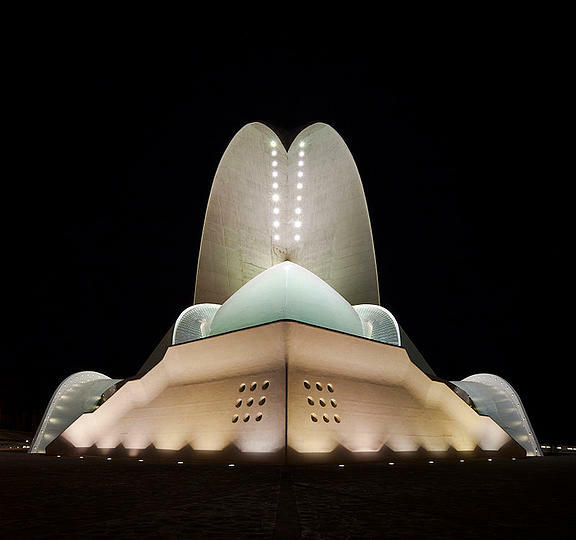 In any case, Calatrava is happy to be “suggestive” because so too is the music. If you’re music lover, we can organize you a visit to a concert in the Auditorium from any part of Tenerife. 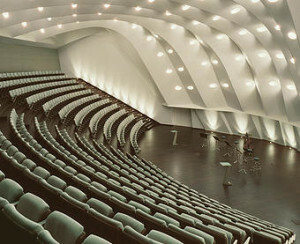 You could check next event in the Auditorium on the Auditorium website or even buy your tickets online here.